Preventable Tragedy? John Ryan Burton Killed at Northwest San Antonio Apartment Complex. Did negligent security contribute to the death of John Ryan Burton at a San Antonio apartment complex and are justice and compensation available to the victim’s family? 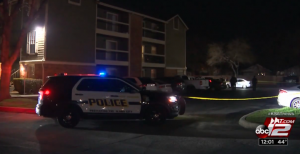 San Antonio police discovered 35-year-old John Ryan Burton lying on the ground outside one of the apartment buildings in the 7800 block of Woodchase Drive at about 4:25 a.m., mySA is reporting. What security measures, such as bright lighting, gated-entry, fencing, monitored surveillance cameras, and visible security patrols, were in place to deter crime and protect the victim at the time of the shooting? Generally, property owners are required to protect all those legally on the premises from any foreseeable harm. Should the facts of this matter reveal that the apartment complex owner failed to provide adequate security to protect those on its premises, the victim’s family may seek justice and elect to pursue legal claims for his wrongful death.